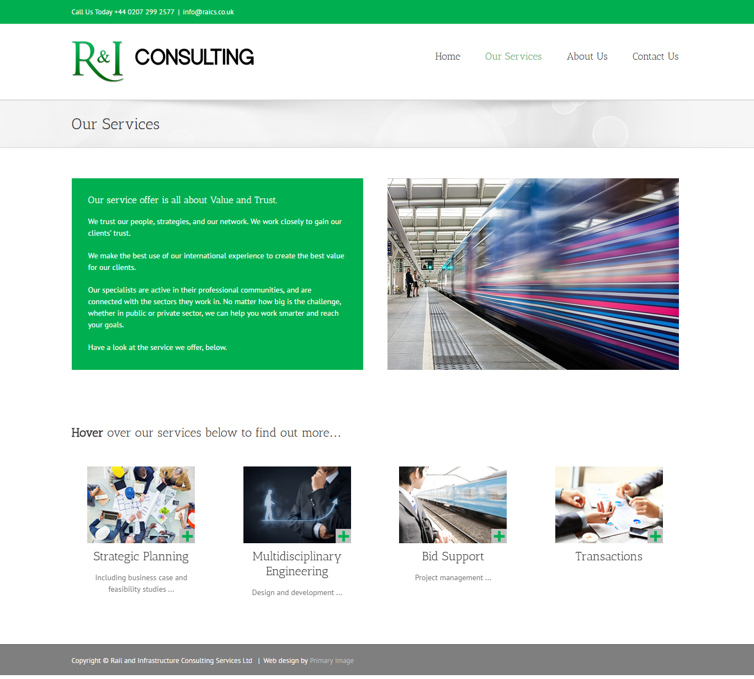 Primary Image was delighted to work again with Rail and Infrastructure Consulting Services (R&I) for their new 2015 website. 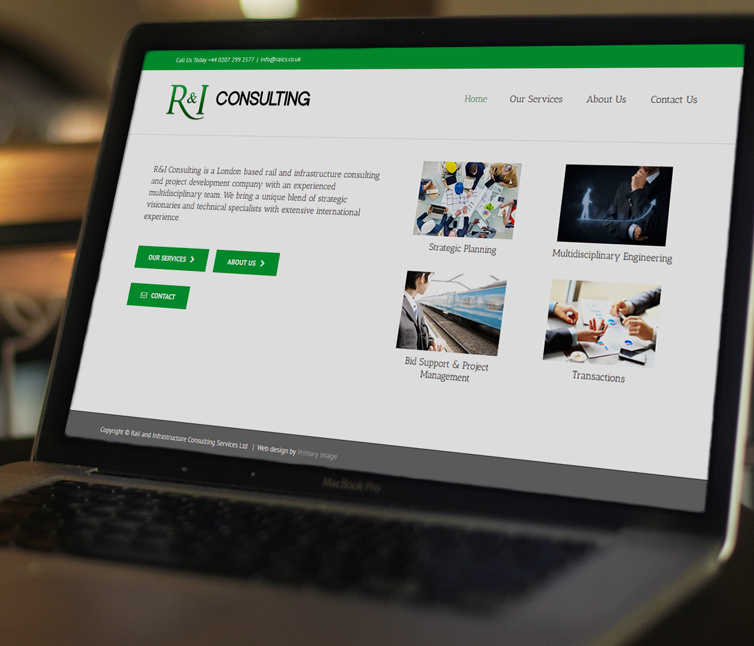 R&I Consulting is a London-based consulting company, with extensive international experience. They specialise in engineering design and development, feasibility studies, operations management and asset management. In addition, R&I consult on mergers and acquisitions in association with their partners Elara Capital. R&I’s customers include the Department for Transport, London Underground, Network Rail, Keolis and Amey. Our Primary Image team had designed their original website during the company’s launch phase in 2012, as well as their logo. 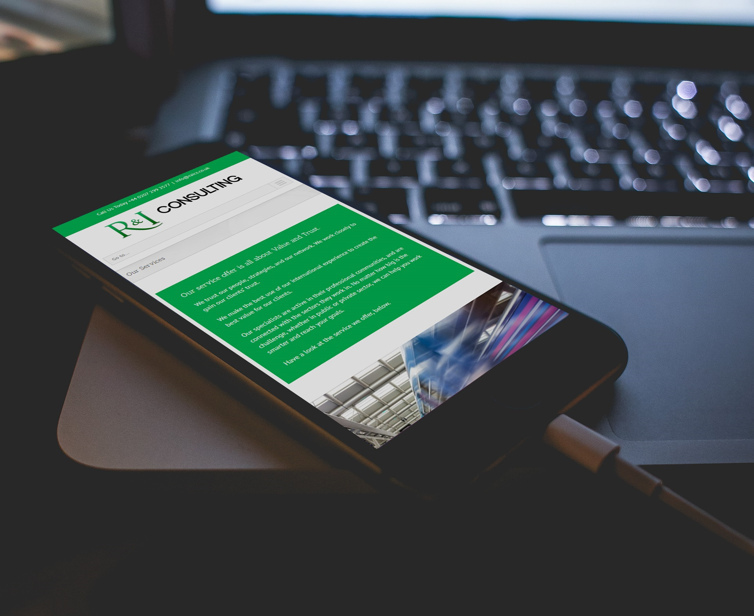 Three years later, R&I had evolved into a larger company and they were keen to refresh their website’s content and design. Primary Image created this straightforward but stylish design, using the Avada WordPress theme, which R&I chose to use. Their new website incorporated modern techniques to ensure it loaded well on mobile devices. The styling was entirely appropriate for a transport consultancy, with a business-like design. Whilst a blog had been installed on their original website, they decided it wasn’t used enough. There was a risk that a stale blog would send out a negative message to visitors, so instead they decided to remove the news area in their new website. More focus was put on advertising R&I’s core services, with clear, straight to the point content. R&I were also very keen to continue using the WordPress platform, which we specialise in here at Primary Image. Find out why we’re the leading web designers for the rail industry. You can also see our design portfolio for many more case studies.